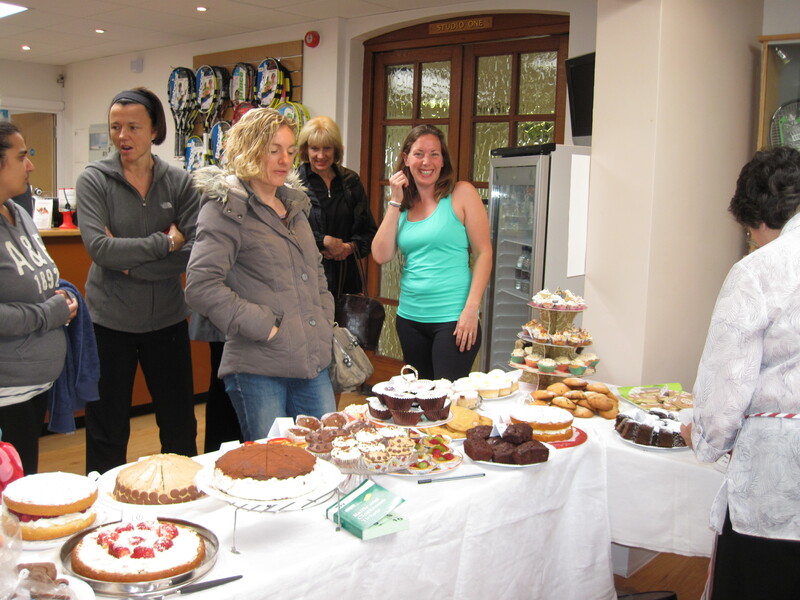 The Grand Raffle Draw took place Thursday morning at the Pavilion cafe. 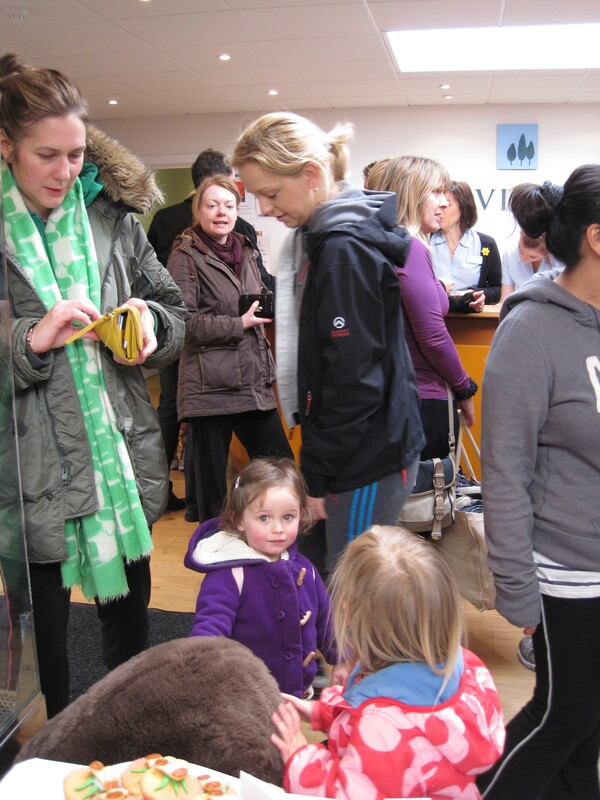 Tickets were drawn by the Pavilion’s manager Christine Hamilton in front of a packed crowd (well ok, not exactly packed but there were a few people there – thank you Niky, Anshu, Natacha and Preeya 😉 ). Thank you so much to everyone who bought tickets, to the Pavilion for all their support and to Sara Smith from Tranquil Harmony and Trish Hawkins from Cloud Cocoland for the prize donations. Finally, congratulations to the winners. I will arrange with you about how best to get your prizes to you! 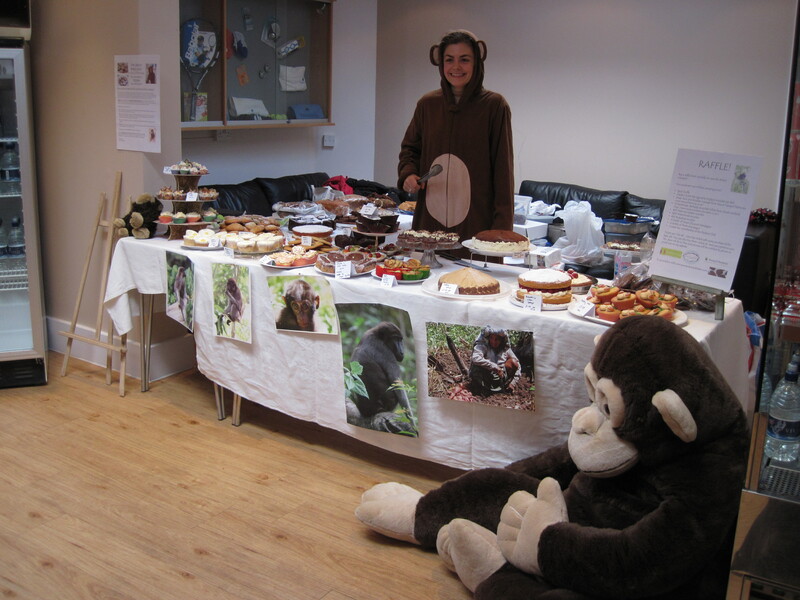 Buy a raffle ticket and help me save the buton macaque!! 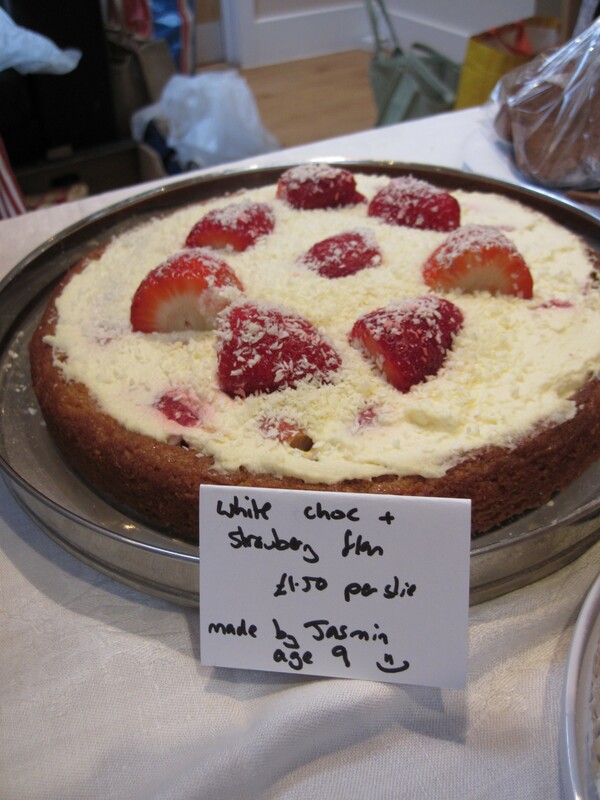 I’m still running the raffle to raise the final bit of funds I need for the project this summer. 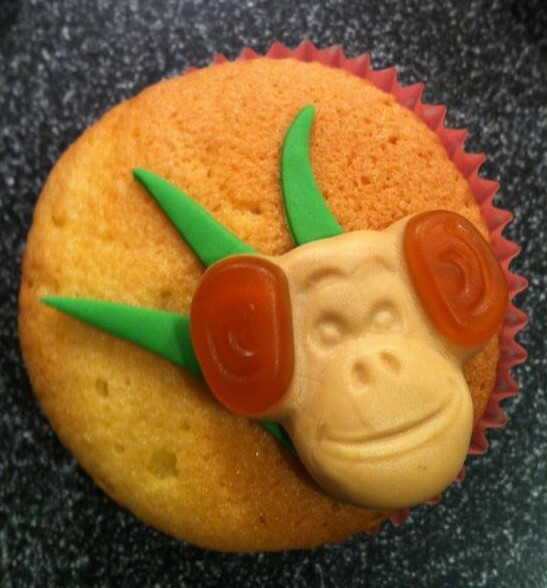 So if you haven’t already then please buy some raffle tickets and help me save the buton macaque 🙂 The draw will be on 7th June so there’s still time to get some tickets! £5 – chilli seeds for 5 farmers to plant. 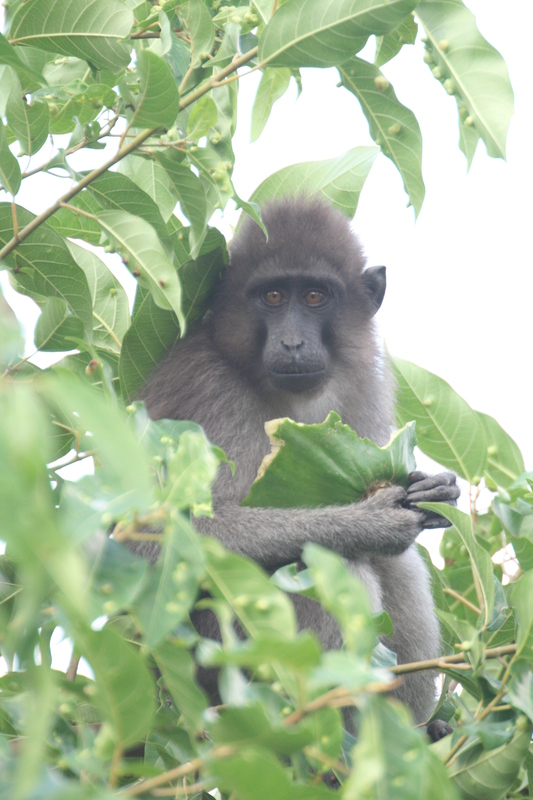 £10 – one local person to work for a day following the macaques in the forest. £30 – buys netting for one farm. 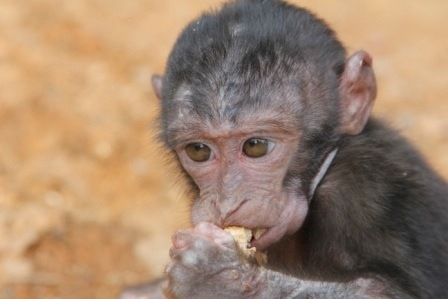 This protects the crops without harming monkeys and reduces conflict. 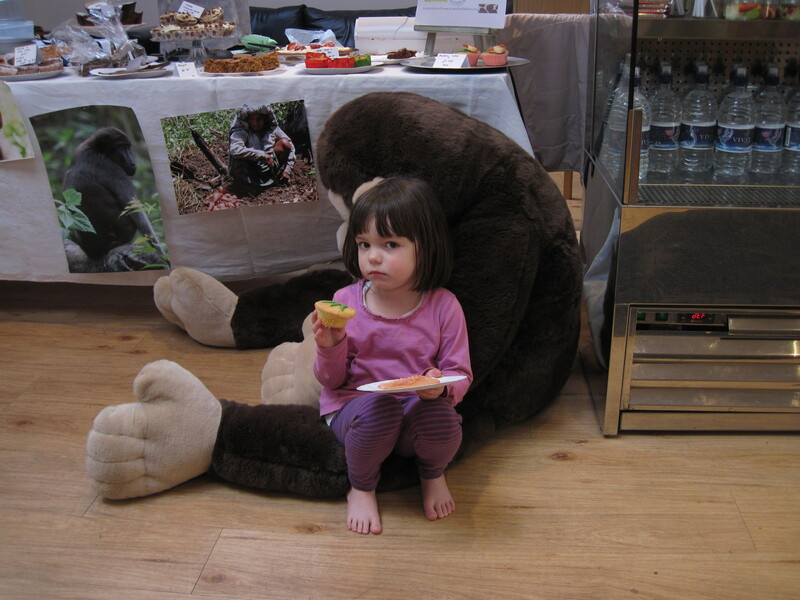 £100 – funds a half day workshop in the local school, educating children and their parents about the macaques and how to conserve them. 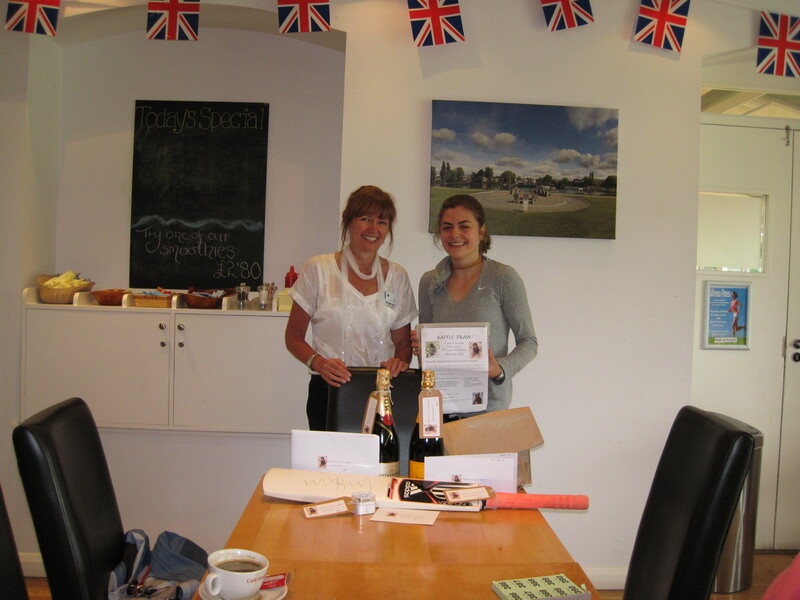 The raffle will be drawn in a couple of weeks time at the Pavilion Club (watch this space for details). 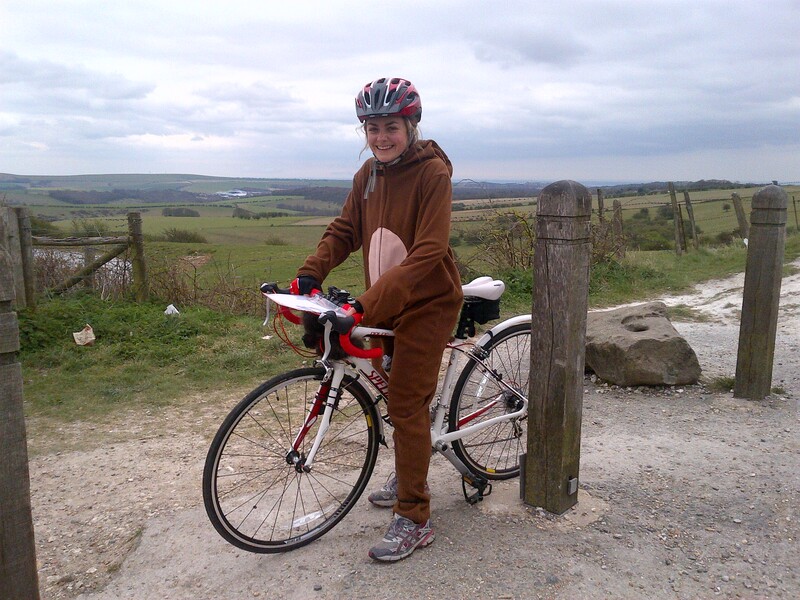 Stop Press: Monkey seen cycling from London to Brighton!! Well I did it! 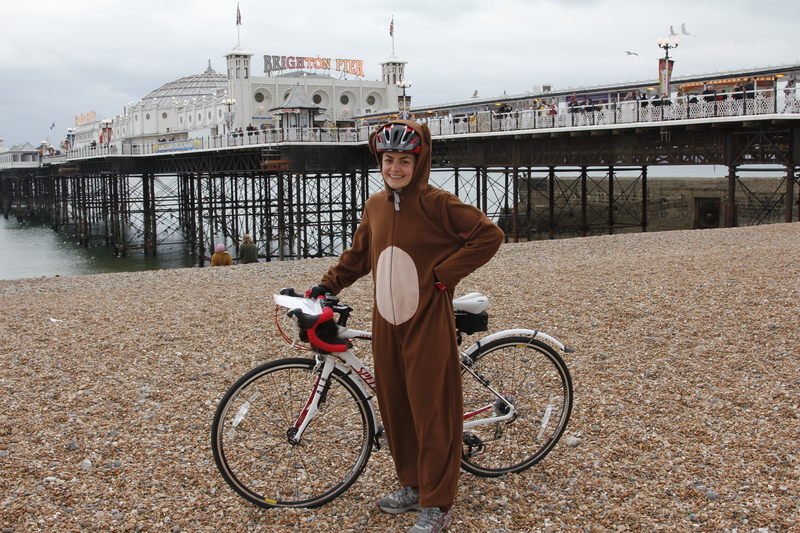 On Saturday I cycled from Hampton Court to Brighton, in my monkey suit! 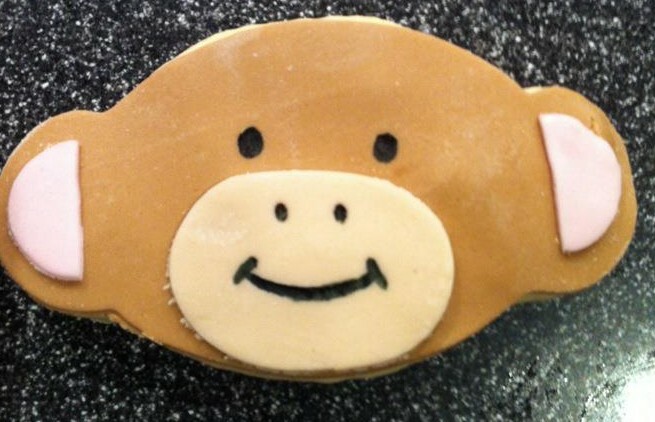 This is a bit of a long post but please bear with me. I wanted to firstly thank EVERYONE who has supported me – both in terms of sponsorship and moral support. I’d like to say a massive thank you to my mum, Dr Ann Priston for all her help and support leading up to the ride and for manning my support car on the day! I couldn’t have done it without her and I think the whole experience was probably worse for her than it was for me, so thank you! 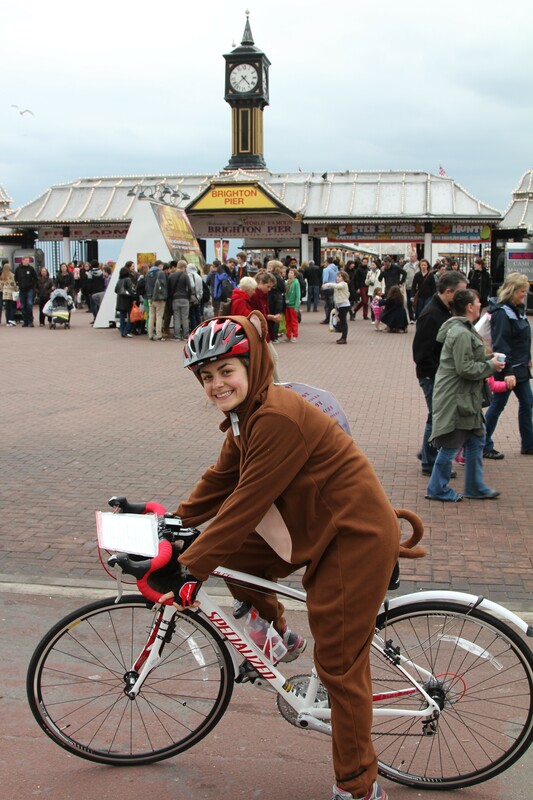 🙂 Secondly I would like to show everyone excerpts from the ride so you can all see that I did it, in the furry suit! I’ve been so touched by everyone’s kindness and generosity and I really can’t thank you all enough. 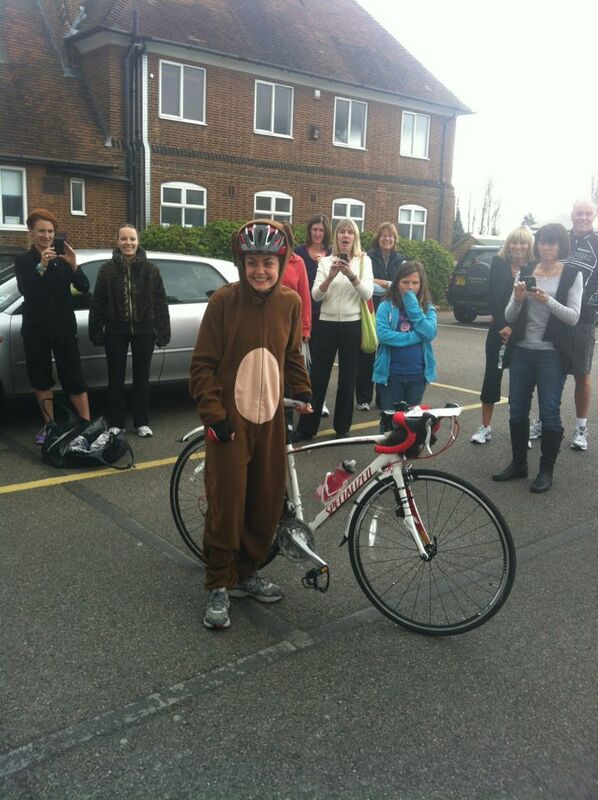 A big thank you to the Pavilion Club too for allowing me to set off from their carpark and for all their support. 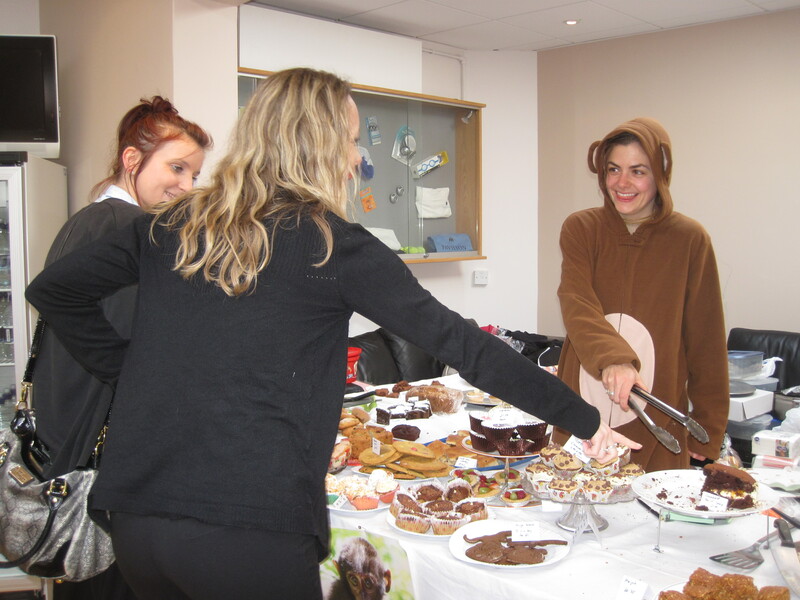 So far I’ve raised an amazing £855.80! 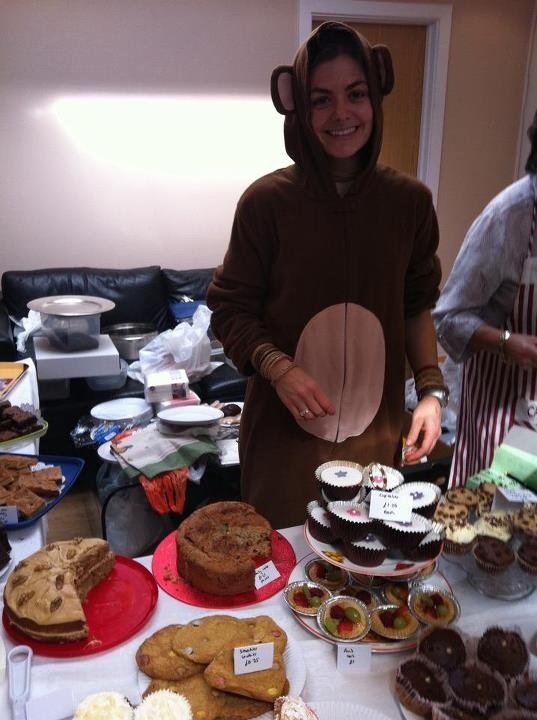 I can’t believe it – thank you so much to everyone who has donated so far. If anyone was waiting for me to complete the cycle before sponsoring me then you can still sponsor me here 🙂 I’m still a way off from my total goal of £1500 so any donations are always welcome. Now for the gruesome details of the day! I set off from the Pavilion carpark at about 11:30, loads of people came down to see me off which was such a fab way to start. furred and suited and ready to go! I peddled off out of the carpark and off towards Thames Ditton. 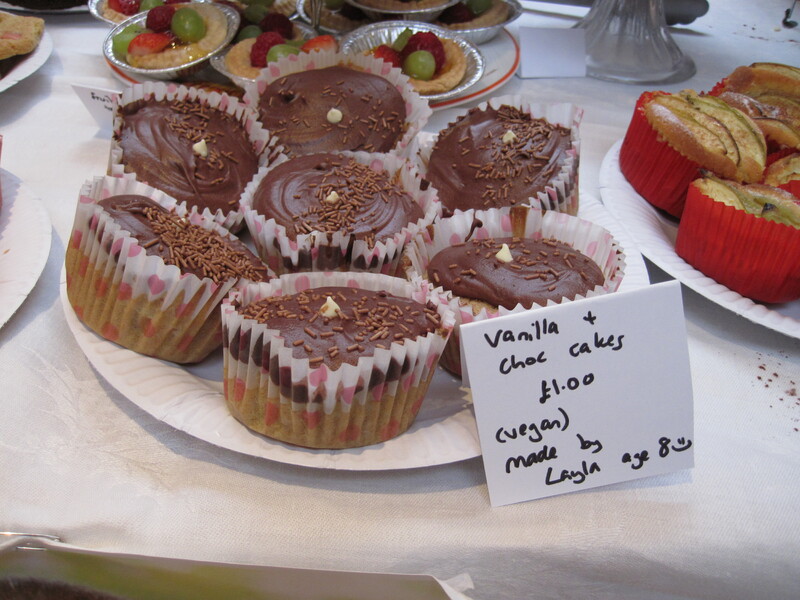 I won’t lie – as I left the carpark in the overcast, damp weather I was begining to wonder what on earth I’d let myself in for! After a slightly damp ride through Tolworth and Ewell (where I picked up a fellow cycler who cycled with me for a mile or so) I pushed my way up Banstead hill, past the station and made it to my first pit stop – a quick Jelly Tot refuel at mile 10! Jelly tot stop number 1 at the 10 mile mark! I only stopped for a few minutes and then pressed on. The next section of the ride was a mix of ups and downs, with a few big hills. I’d been in need of a loo break since about mile 4 so we’d agreed to try to stop somewhere. 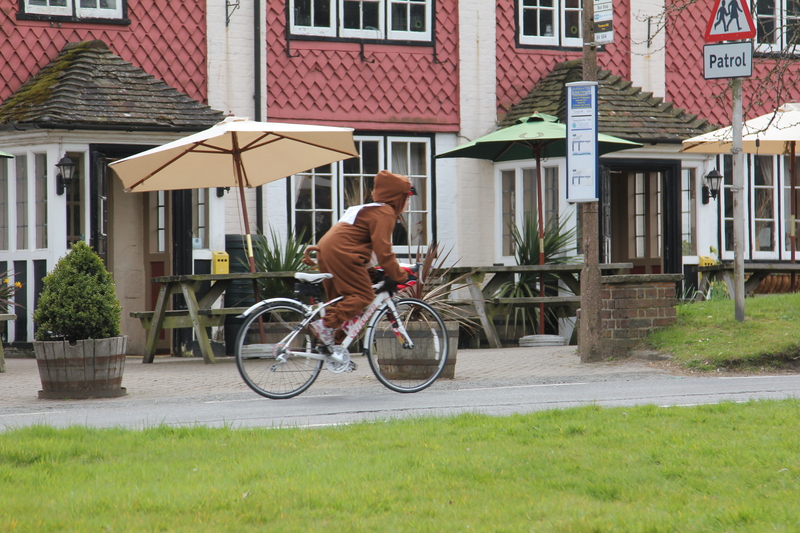 I peddled past quite a few pubs and a starbucks and was sure mum would have stopped the car at one of them but I checked every car park as I went past and didn’t see it. 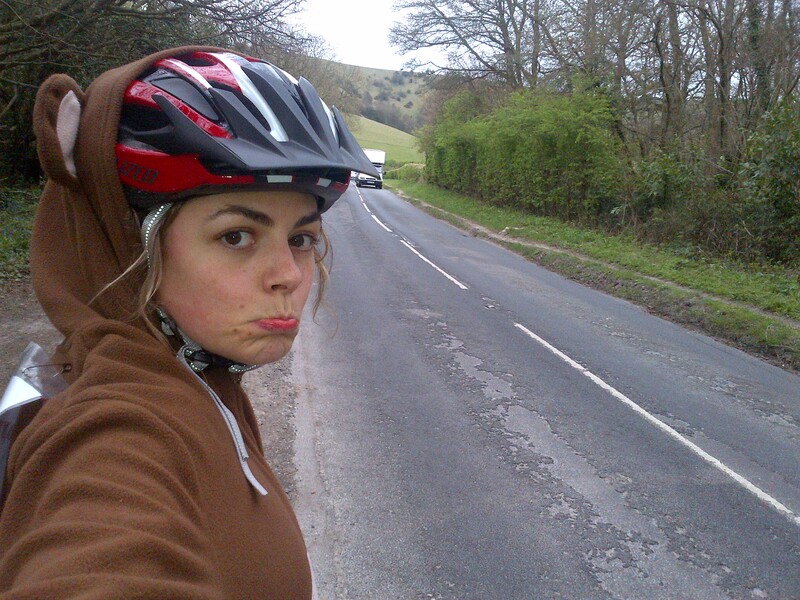 So I decided to cycle on – down a slightly hairy sliproad that nearly took me on to the M25 (thanks to a really stupid cycle path layout!) and then on, under the M25 down the A23 towards, and under, the M23. By mile 25 I still hadn’t seen the car so I stopped and gave them a ring. 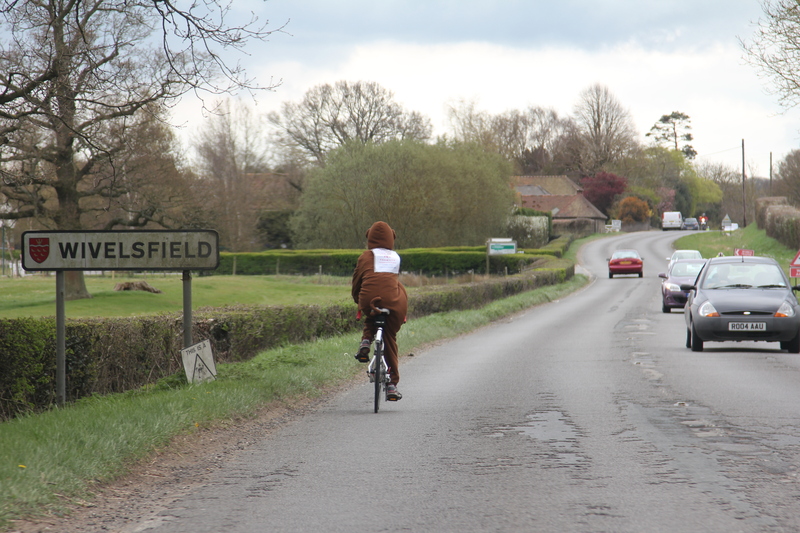 It turned out they were about 10 miles behind me after stopping in a pub to wait for me. It seems they slightly underestimated my speed! We managed to meet up with each other again at mile 25 at the top of Turner’s Hill for another refuel with a protein bar, some jelly tots and a refill of the water bottle! 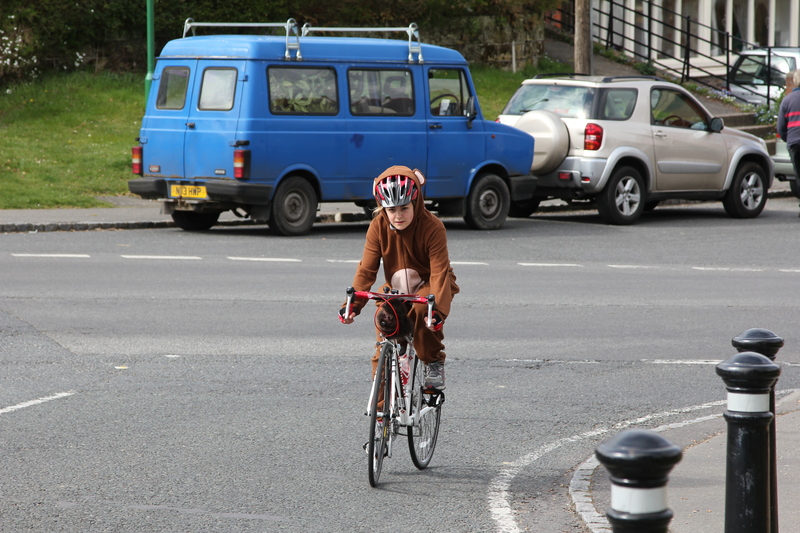 I made it up though – I put my bike into the lowest gear and just kept peddling. I managed not to stop and aside from some slightly hairy close calls with passing cars I got to the top unscathed, though it was lucky no one could hear me on the way up – the air was a teeny bit blue as I huffed and puffed my way to the top! I spent about 5 mins catching my breath and taking in the view at the top and then decided to head off before I got too cold. Then it was plain sailing for the last 6 miles! 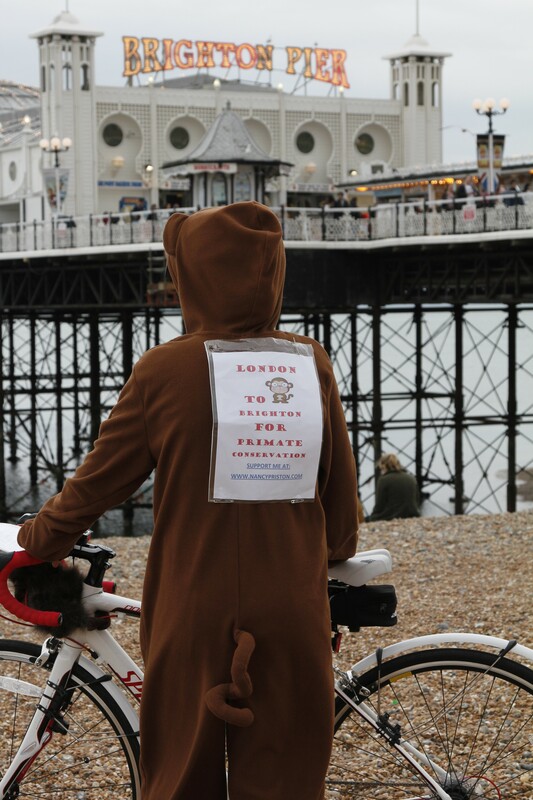 Mostly downhill from here in to Brighton, so it was bike in to top gear and then I was a super speedy monkey all the way in to Brighton – top speed 31 mph – wheeeeeeeeeeeeeee! 🙂 Some fantastic views of Brighton and the coast on the way down but I didn’t want to stop to take photos – was just too excited to be finishing! Final chance for some photos on the beach before I got out of the monkey suit and into some dry clothes! 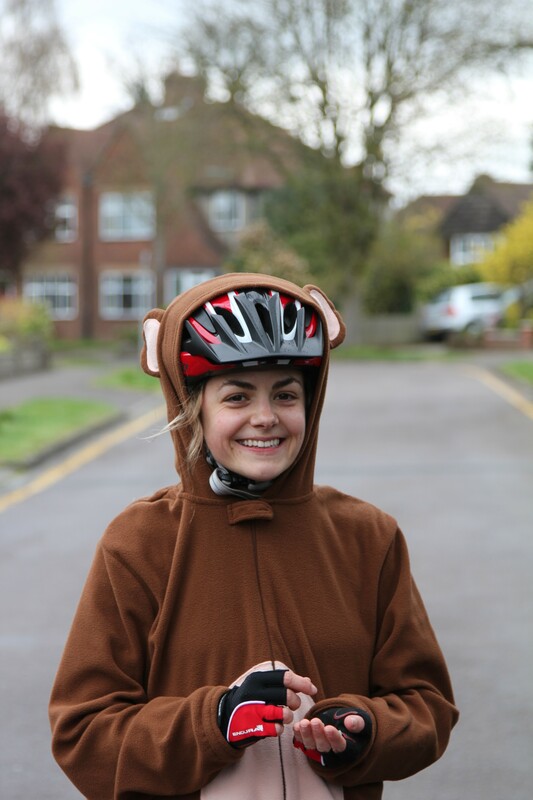 Less than 24hrs to go until my sponsored cycle to Brighton to save the monkeys! Right well I’m just about sorted for my cycle from Hampton Court to Brighton tomorrow. 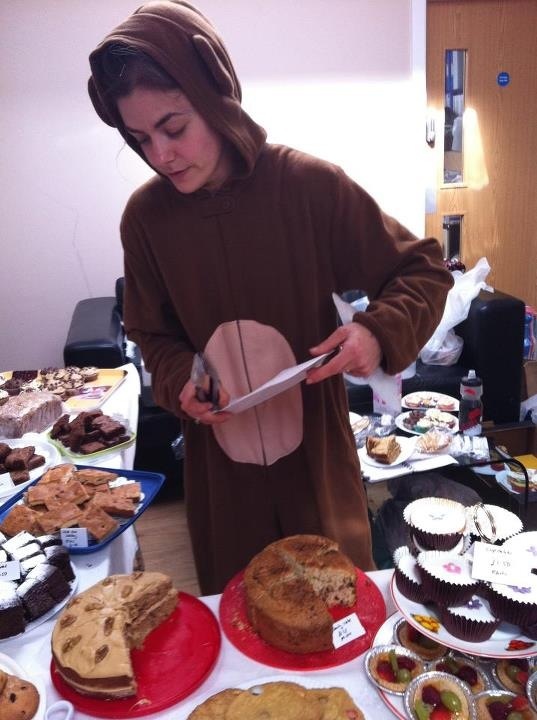 Route planned, protein bars packed, padded shorts and base layer sorted, furry monkey suit ironed…. Having now seen the route (thanks to the wonders of google street view) I am now a little scared! It’s a long old way with a really really big old hill at the end! 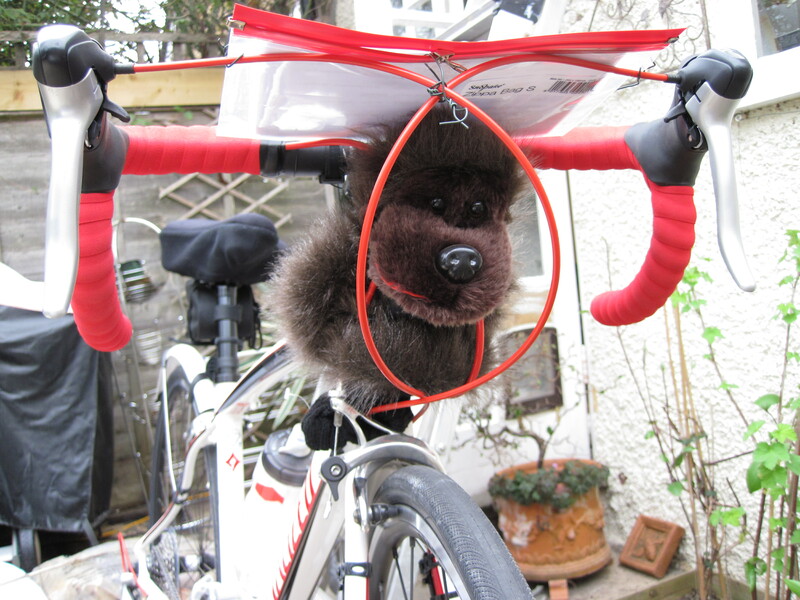 but if I keep peddling I’m sure I’ll be ok! 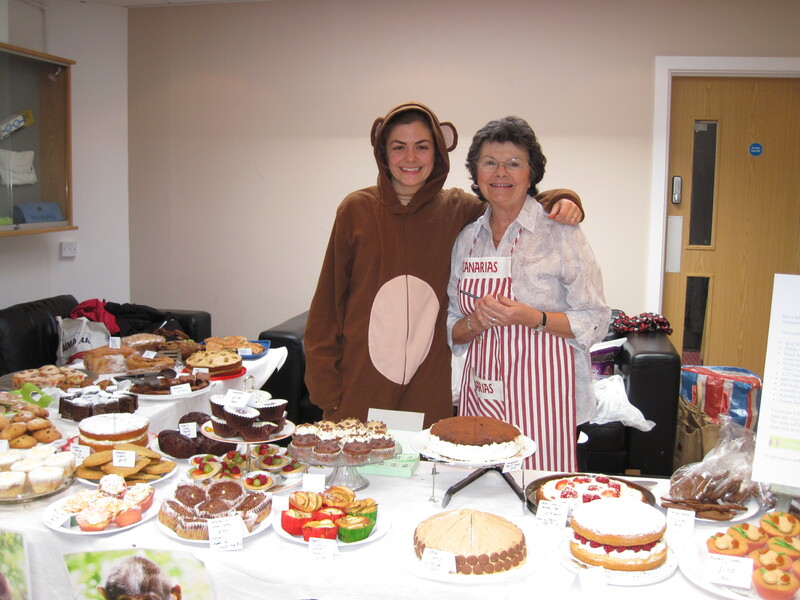 I am setting off from the Pavilion Club carpark in East Molesey at 11:15am tomorrow morning so if anyone wants to come and wave me off (and verify that I’m in the monkey suit!) then you’d be more than welcome. 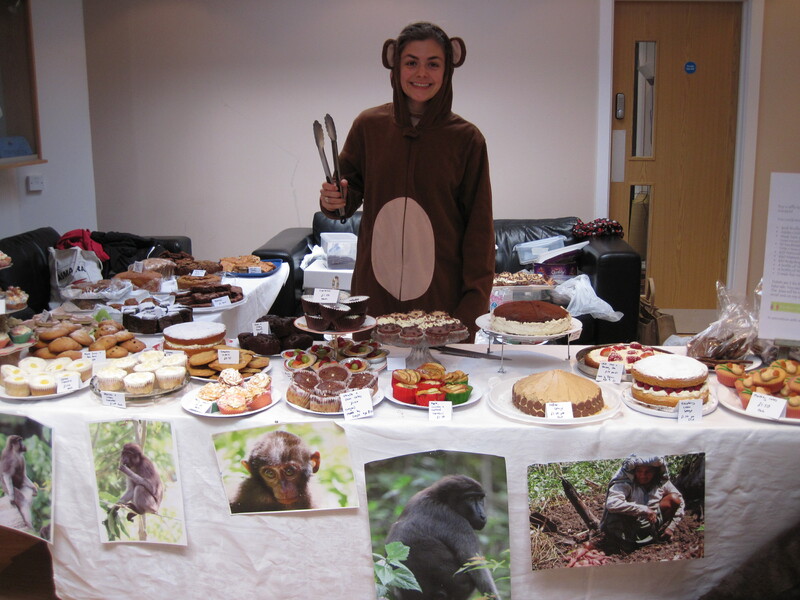 There’s still time to sponsor me if you haven’t yet and to help me reach my total goal of £1500. 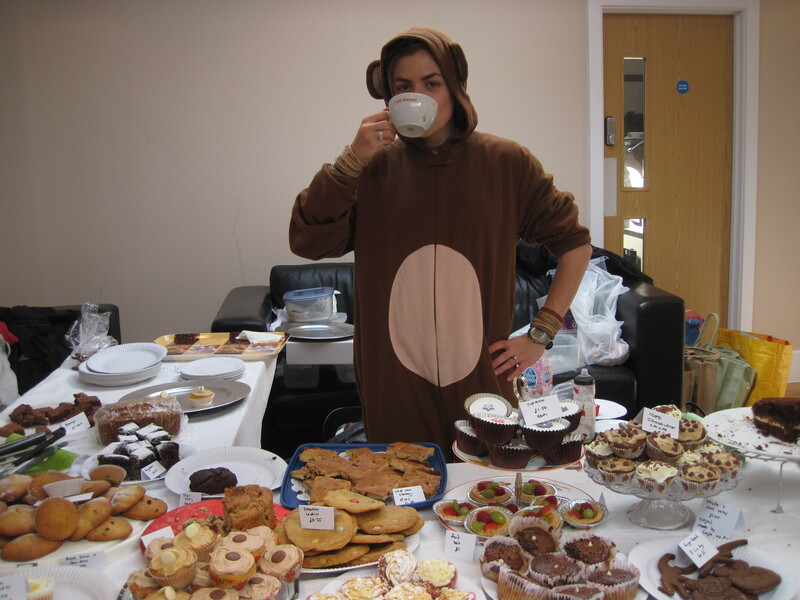 For more info on the project, how the money will be used and to sponsor me check here. 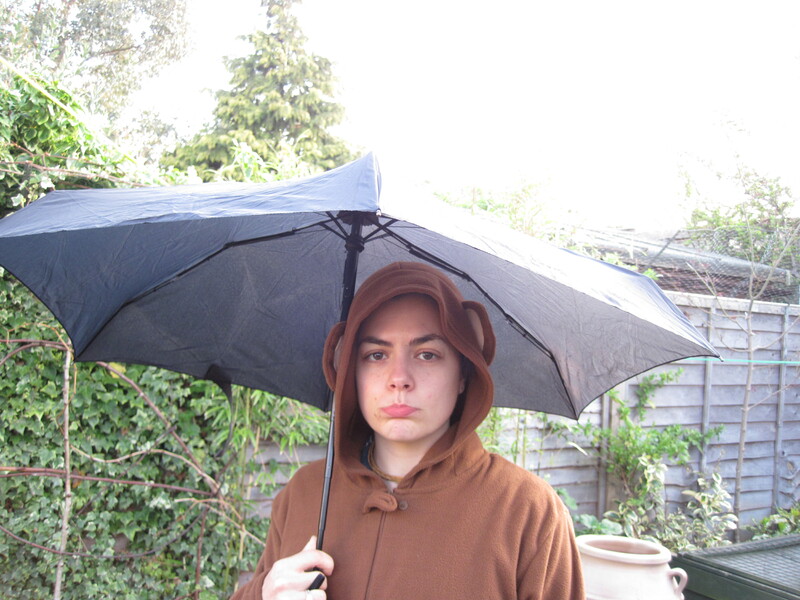 The forecast is for rain on 7th April so I will be one very soggy monkey! Not sure I’ll be able to ride with an umbrella…..